The declawing process is a very painful one, and it makes the cat miserable. Basically, the claws are removed up to the first joint, so a partial amputation has been done on all their claws. Imagine the kind of pain they’re in during the first few weeks after surgery. And because they’re in pain, they may try to avoid the litter box. So, it’s important that you prepare for this inevitability in the best ways you can. Note: We do not encourage the declawing of cats, but many rescue cats will have been declawed previously, and it’s best to be ready for them! So, perhaps you’ve rescued a recently declawed cat or a cat that has had the process done many years before, and you’re not sure about the litter. 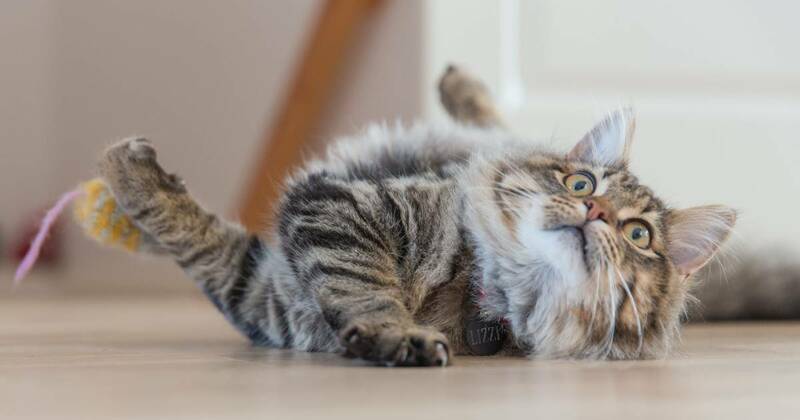 Cats can be quite picky, as we all know, and their litter and litter box situation needs to be done well, so that the cat or cats don’t engage in litter box avoidance, resulting in dirty floors or carpets, an uncomfortable cat, and frustrated cat owners. So, take a look at these tips to finding the best cat litter for declawed cats as well as different types you can purchase. There are many things to take into consideration when making the purchase, but fear not! There are plenty of options out there to choose from, so that your cat is very comfortable, happy, and will not avoid the litter box! Why are people declawing their cats? Declawing has definitely reduced in frequency in recent years. Less and less people are doing it, and some adoption agencies are requiring that it not be done because of its inhumane nature. People declaw cats mainly to keep the cats from ripping up their furniture (which is annoying!) as well as avoid being scratched (which is painful!). But, there are many other more humane alternatives to help solve these issues. First, when adopting a cat, it’s best to get a sense of their personality. Spend some time with it, play with it, and have every member of your family play with it. Acclimate it to you and your family. That way, you get the chance to see the cat’s nature. 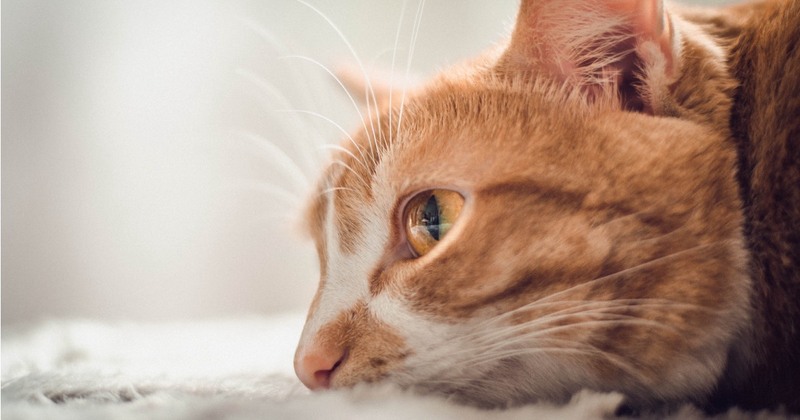 Cats will scratch out of fear or anger, so if during the session, the cats are too skittish and fearful and scratching you, then maybe that’s not a good option for your family, but they could work for someone else. Next, their claws can be trimmed! It’s a little extra work on your end, but it save the cat a world of pain, and the trimming is easy and painless for them. This you will need to do about every two weeks or even more often, depending on your cat. Then, you will avoid painful scratches and couch scratching. Also, you need a scratching post! Cats scratch for some pleasure and stress relief. If they have nowhere to go, especially if they’re indoor cats, they will use your furniture for this! 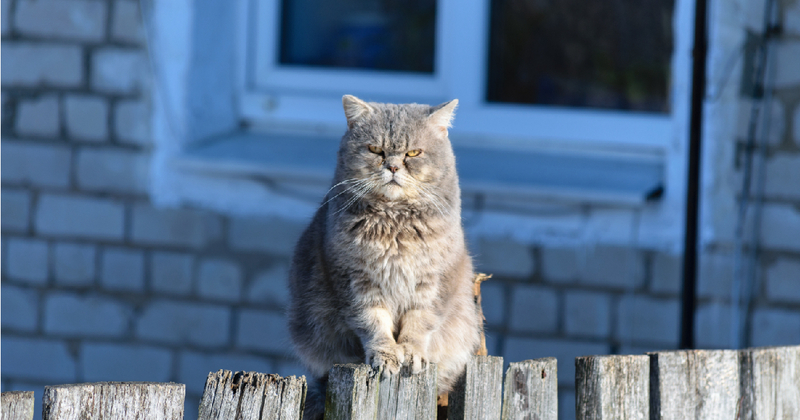 Outdoor cats have trees as their natural scratching posts, so they will be less likely to tear up your furniture. But, cats should have at least one scratching place in the house. Two is even better. Get them used to it by spraying it with pheromone spray or sprinkling cat litter on it. If they start scratching somewhere else, move them to the new scratching post. If they start using it, give them a nice reward! Another option is purchasing a calming pheromone color or outlet spray. It creates a relaxing environment for the cat, so that they’re less jumpy, skittish, and stressed. The more stressed they are, the more likely they are to scratch! This you can find at your local pet store or can order online. It’s easy, and you won’t even realize it’s in the air! And lastly, there are actually claw caps to put on your cat's nails so that they won’t scratch up you or your furniture. 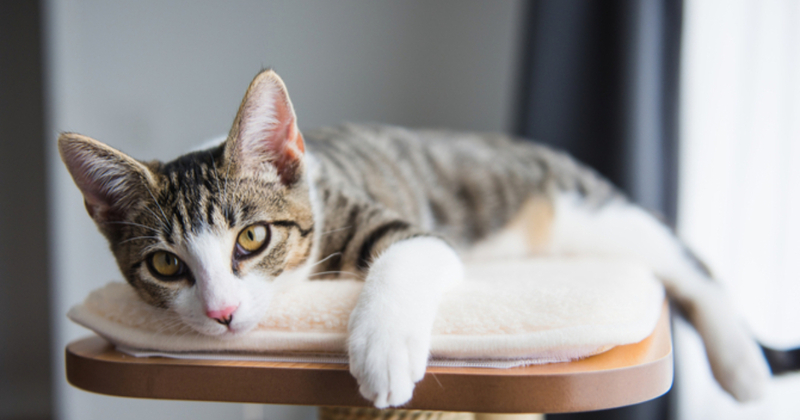 There are plenty of options to choose from other than declawing your cat that can help reduce the likelihood that the cat will scratch you or your furniture. Do not resort to declawing. Not only is it expensive, but it’s also extremely painful for your loveable furry friend! But, if your cat has been declawed...Check out the tips below for purchasing the right litter! For a cat, using the litter box involves walking on a sand-like material and scooping and covering their waste, so therefore their paws will be used. The declawing surgery is extremely painful, so in order to avoid the pain of scooping in the litter box, cats may try to go to the bathroom somewhere else that’s much easier and more comfortable, such as the carpet. Consider their pain, and look for a litter that is softer and easier to scoop. Also, find a litter that has finer grains, so that it’s much more comfortable to walk on and move around in. They’re missing a body part now! Now that they’ve been declawed, they are lacking in a body part they used to have! They So, that will limit them in their ability to scoop as well as they did in the past, even if they aren’t in pain now! Imagine having to learn to walk around without your toes! Their claws were useful in many ways, and now that they’re gone, we can help make their lives a little easier by creating easy situations for them. Purchase the litter that will be easiest for them to work with. It doesn’t have to be as fine or as soft as it needed to be when they first had the surgery, but it can’t be too coarse or difficult to move around. Remember, you want to avoid them avoiding the litter box! Clumping is normally extremely helpful for easy scooping, and it reduces the moisture in the litter box for the comfort of the cat. But after declawing surgery or any kind of paw surgery, the clumps could stick to their wounds and get in between their toes. Then, the waste is staying next to their wounds all day and could cause serious infection. So, in the period after the surgery, avoid clumping litters to avoid this issue for a week or two. Again, the label on the litter bag or box will let you know if the litter is clumping or not. However, some clumping litters may be ok for sensitive cats, but it may be best to avoid it in the beginning. Since litter is sand-like, there can be a lot of dust when scooping it, pouring it, or moving it around in any way. This is not good for cats who have just been through declawing surgery. It’s also not great in general because it can get into their lungs, since there are inside the litter box with it a few times per day. And, if it is so fine that it creates a lot of dust, you know what will be sticking to your poor kitty’s wounds! So, check the litter label for the words low dust or dust free to make an informed choice about the litter for your declawed cat. And, an added bonus! With less dust comes less chance of scatter or dirt around the house! Some cats will be fine with scented litter, and it can help with keeping your house fresher. But, if they’re already in pain, they might be even more sensitive to smell and may avoid the litter box entirely. Also, in scented litter, there could be some harmful chemicals that you don’t want your cat or their recent wounds exposed to. So, it’s best after surgery to avoid scented litter. Simply check on the label to find whether the litter is scented or not! Wood litter is similar to paper litter in its feel and abilities, but it will be slightly uncomfortable right after surgery because of it’s pellet nature. But, it absorbs well, and is environmentally friendly. You can purchase either clumping or non-clumping, and it normally turns to a soft sawdust when wet. Because it’s natural, it will be helpful to avoid infection. So, this is a good choice to use after the cat has healed for a few weeks until you transition them back to their normal litter, or if they like it, you can keep using it! Let’s say you have tried all you can to get your declawed cat to use the litter box. You’ve bought fine grain, low-dust, non-clumping, unscented litter, but they still won’t use it! They keep using the bathroom on your couch, carpets, or bed! What are your options? 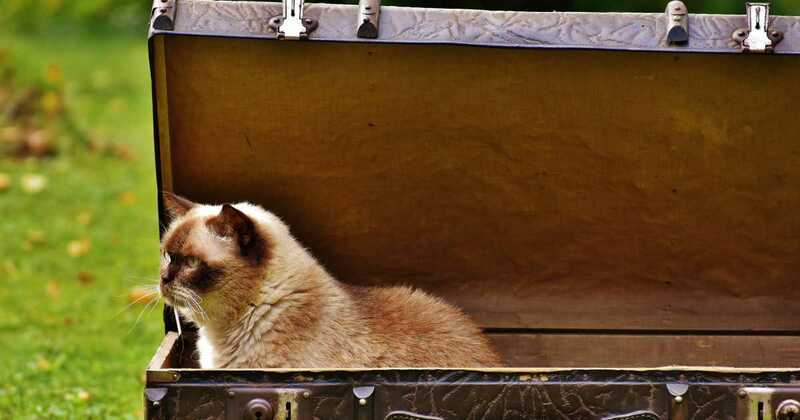 You’ve completed all the right steps in litter selection, but there are some extra ideas to encourage your cat to use the box. First, if there are multiple cats, and they’ve been sharing with another cat in the house, then it’s time to give them their own box. Since they’re in pain, they may not want to sit in the other cat’s waste or smell the other cat’s smell. Animals often like to isolate themselves when injured to give themselves time to heal. Also, put their box in an even more private space and away from the other cat’s box. Give them their time and space to heal and use their box at their convenience. If they’re still avoiding it, then use something in the box that will attract them there. Sprinkle catnip inside or spray a pheromone spray to encourage them to go in! If these also do not work, then it’s best to consult with your vet. Why are people declawing their cats? They’re afraid of their furniture getting ripped up, but there are other options! Attract them to the litter box: let’s say all your efforts to find good litter aren’t working. Put catnip in the box to attract them there. 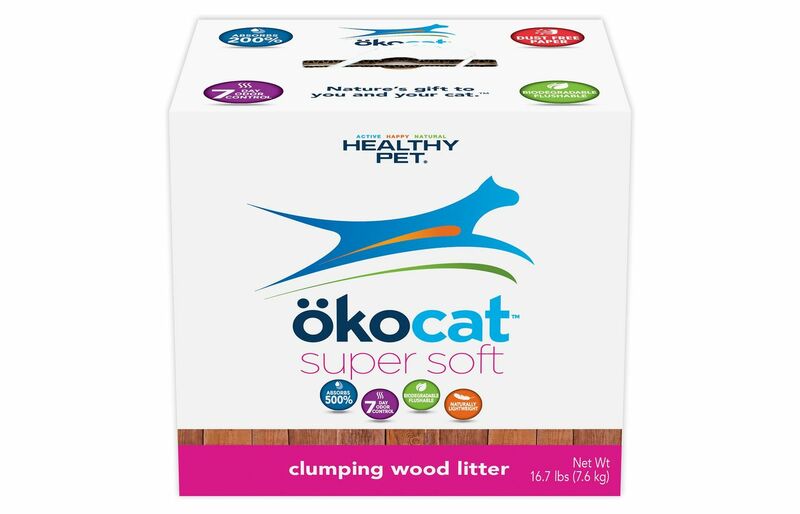 This is the perfect litter choice to use after your cat has been declawed or had some other surgery in areas that make contact with litter. It’s lightweight with extreme absorption power. 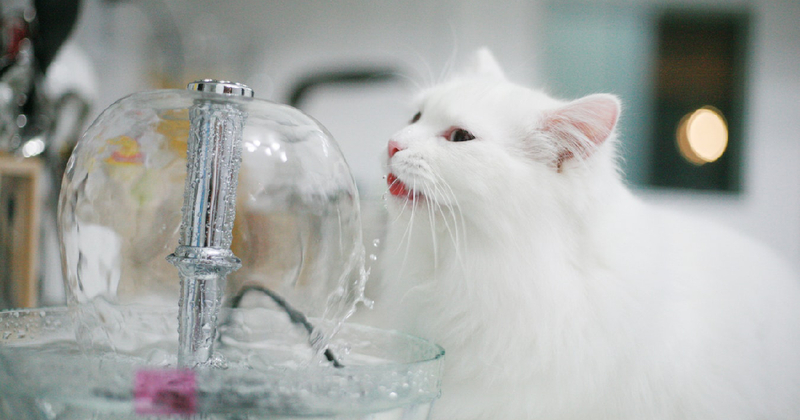 (Your cat may have some blood or other fluids coming out while using the bathroom!) It’s made into pellets from recycled newspapers, so you can trust that it’s not leaving a large mark in the environment when you toss it out. 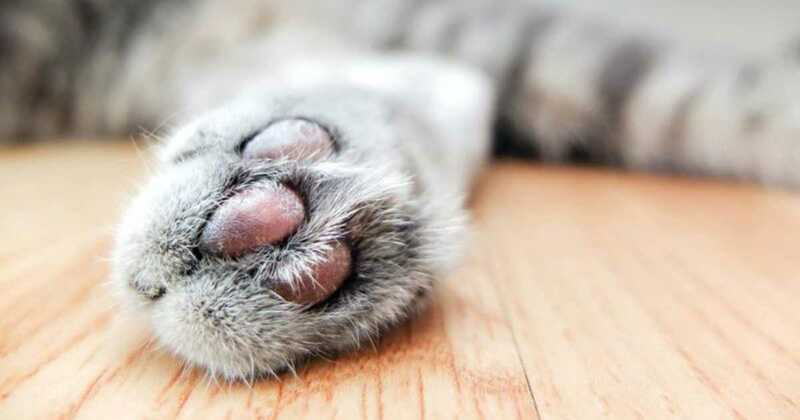 It is non-clumping, soft and light enough for your cat’s sore feet, and it’s 99.7% dust free! That’s great to know your cat is comfortable and able to breath dust free air when in the litter box. This type of litter is most likely your best choice for post-surgery because of its non-stick abilities and it’s softness. 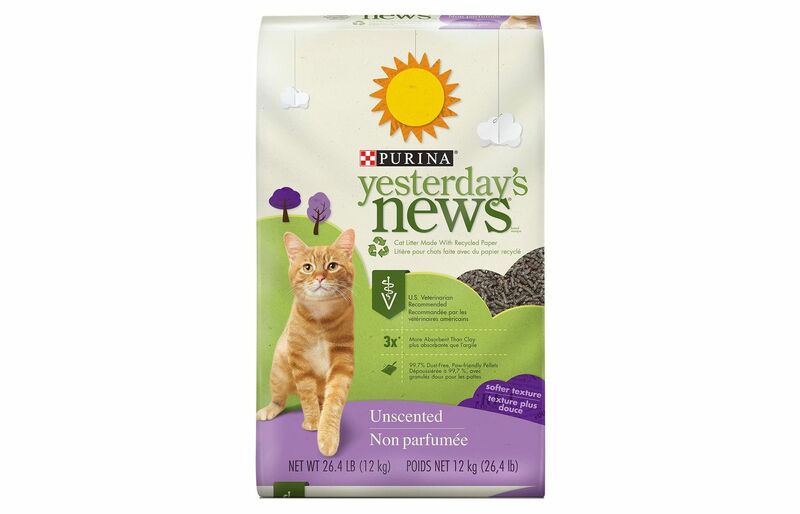 If your cat still seems uncomfortable in the Yesterday's News Original Formula cat litter pellets, then try this softer texture cat litter from the same company. It’s closer to a clay feel, with more moisture absorption, and the pellets are a bit softer, so your sore kitty can feel quite comfortable in the litter box. Despite the fact that its made from natural materials and is recyclable, it’s still tough on odors keeping you and your family happy! Same as the original formula, it’s eco-friendly, so you can feel at ease throwing it away! It’s also unscented and non-clumping for your healing cat’s convenience and health! 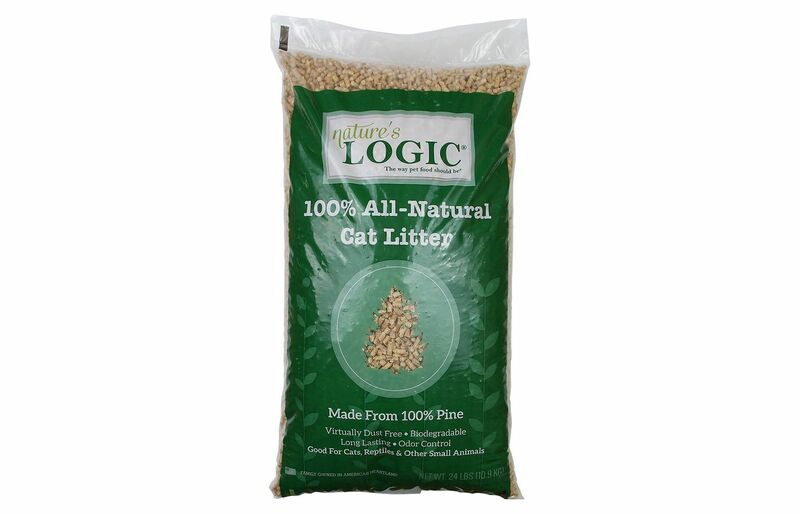 If you’re looking for that fine grain litter, and your cat has had a little time to heal, this is a good litter choice. It’s made from corn and cassava, and has that soft cat litter feel those sore paws will be needing! Because it clumps, it’s very easy to scoop, and keeps the waste together. It’s made from natural ingredients so you don’t have to worry about your footprint or the chemicals used to create scents that eliminate odor. It eliminates odor without a scent and the natural way! It’s also flushable, which is helpful if you live in a high rise apartment building, and it has a white color to help you identify changes in your pet’s urine. This is also good post-surgery, so you can catch if there is any blood or pus coming from the wound after a few weeks of healing. 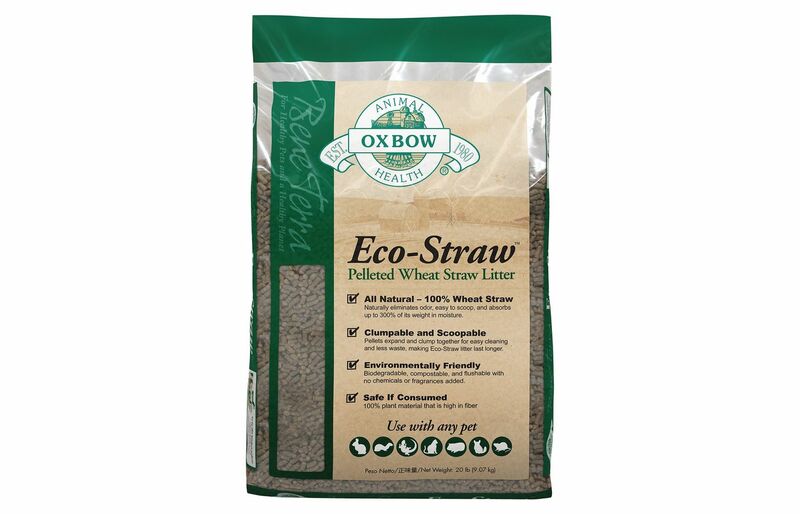 Go for an even more natural feel with this eco-straw Pelleted Wheat Straw Litter from Oxbow. This type of litter is often used for pet rabbits, but it also works for cats! It’s made from high-fiber wheat straw and is pelleted. It’s very soft, encouraging your cat to go to the bathroom here and comfortable enough for their injured paws. It has more absorption power than paper pellets or wood shavings, and it lasts longer. An added bonus is that it’s safe to eat in case that happens! Liquids will go below the surface of the litter, so that it doesn’t stick to wounds or fur. It is easy to scoop out, and it is naturally dust-free! Made from natural ingredients, it’s eco-friendly, and it’s flushable! This is a great choice for right after surgery, and you can keep using it if your cat enjoys it! One of the things to look for in a cat litter for your declawed cat is its softness. But you need to also be concerned with the clumping and the dust. This is where Nature’s Logic comes in. Their all-natural pine litter (made from 100% pine!) is perfect for recently declawed cats or even cats who still have tender paws after a few weeks. It won’t clump, so it’s soft. It has strong odor control to keep your house fresh. And, it is completely dust-free! Perfect for a slow-moving cat struggling to shift the litter around with sore feet. It’s also good to reduce the litter scatter in your house. Since it’s all-natural, it doesn’t have the silica particles that other commercial litters do. Feel comforted knowing that your cat is enjoying a soft, safe, and environmentally friendly litter! 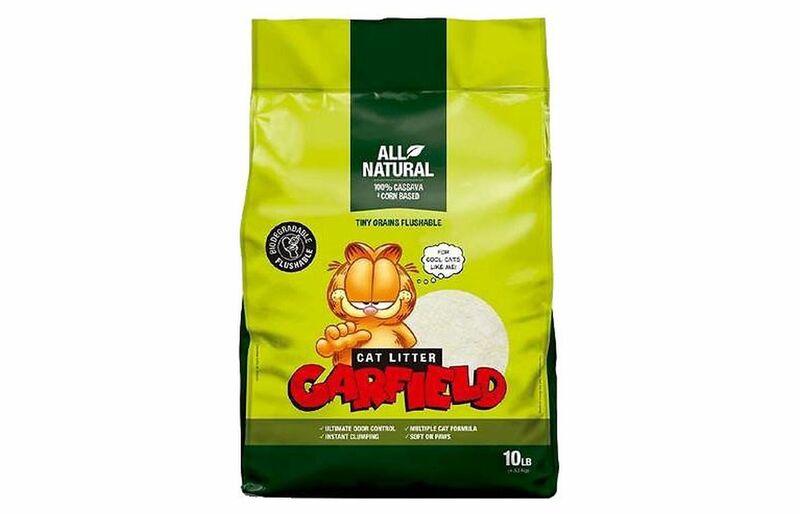 Looking for a natural litter that your sore cat will love? 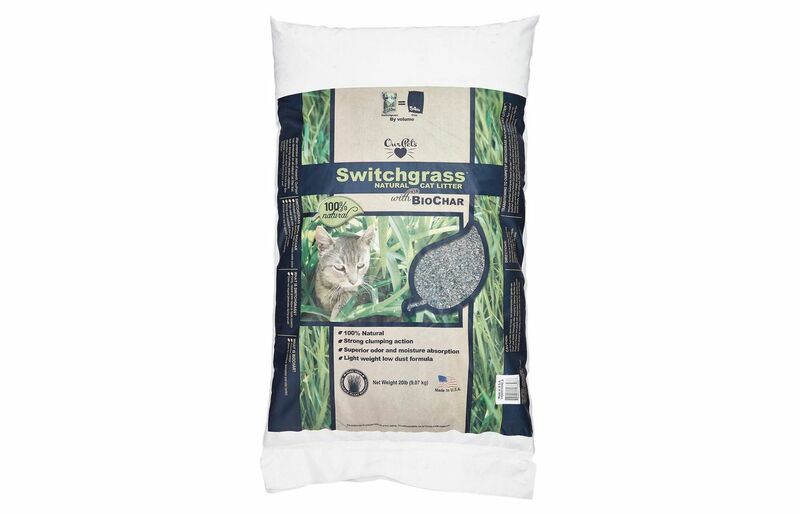 Check out this switchgrass & biochar natural cat litter. It’s made from this North American plant, switchgrass, so it’s a natural product and biodegradable. BioChar is a carbon product mixed in with the litter to help control odors naturally. It is a low-dust litter, so your sore kitty can breathe easier, and it won’t get trapped to their coat or their wounds. It’s very soft and comfortable, and with its natural ingredients, may make the cat feel like they’re going outside! But, please note that this is a clumping litter, so it may be best to reserve this type for a few weeks after the surgery has taken place. 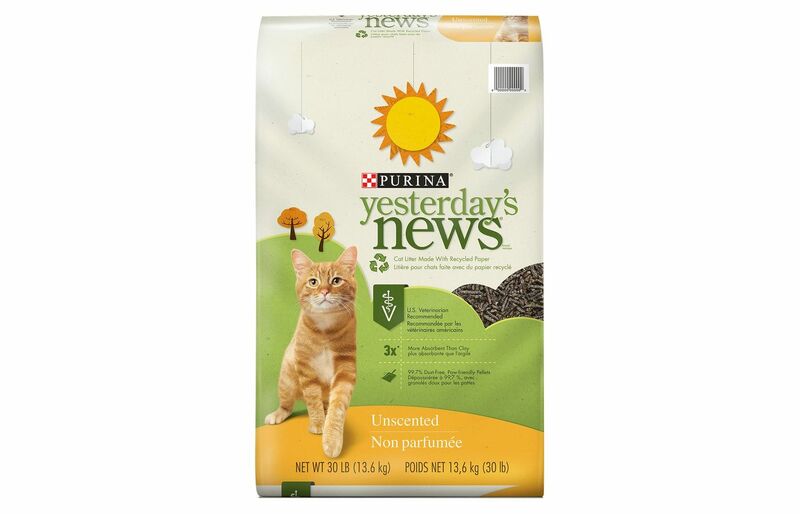 This litter is great for paws that are still tender after surgery. It may not work for right after surgery because it’s a clumping litter, but it’s great for paws that are still healing a little. And, it’s ideal for older cats who need a little extra softness and comfort in their lives. It has a strong odor technology that seals in odor for up to 7 days without chemical additives! There are no dyes or fragrances added either. The litter is lightweight which is great for young kittens, weak paws, or old cats to move around. It is also biodegradable and flushable to help make you feel better about the environment as well as make it easy for you to clean up! It’s also less dusty than your average litter, so you can avoid litter scatter and your cat breathing in something he or she shouldn’t. It’s best to avoid clay-based litters during the inital post-surgery period. This type of litter can be a lot harsher than others, and you’re looking for something much softer and more comfortable for your cat. Also, clay litter tends to be quite dusty, so that could stick to your cat’s wounds and coat. And, it will clump, which can be quite dangerous right after a painful surgery. Clumps can attach themselves to the feet which could cause infection. So, try other options such as paper, corn, wheat, or grass for after surgery. Does unscented or scented really matter? Of course you care if your house is going to be so smelly that you won’t be able to have guests over. But, the main issue here is harmful chemical additives. You don’t want your cat to breathe any of these in or get harmful substances into their wounds. So, take a look at the label on the box and check out the ingredients. Make sure if there’s an odor technology that it doesn’t use harmful chemicals. If it is an unscented litter, and you’re really concerned about the smell, then consider a natural option. Purchase carbon pellets or sprinkle in baking soda to help eliminate odors in the box and give you peace of mind.